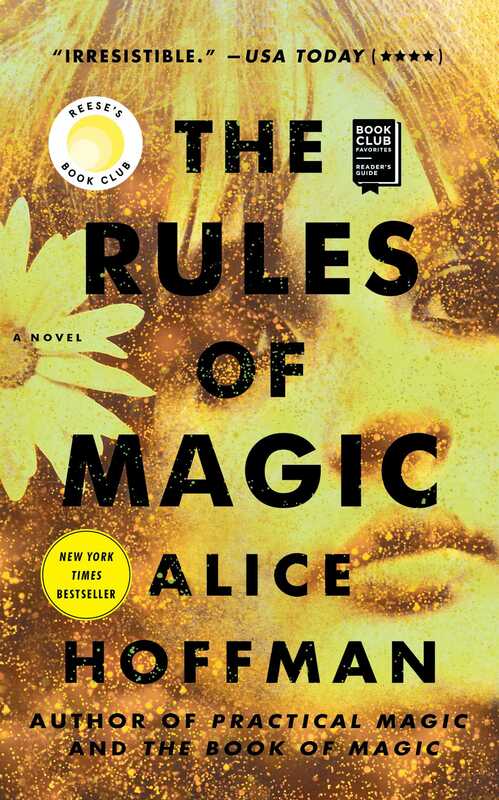 This reading group guide for The Rules of Magic includes an introduction, discussion questions, ideas for enhancing your book club, and a Q&A with author Alice Hoffman. The suggested questions are intended to help your reading group find new and interesting angles and topics for your discussion. We hope that these ideas will enrich your conversation and increase your enjoyment of the book. From the New York Times bestselling author of Faithful, The Marriage of Opposites, and The Dovekeepers comes the highly anticipated prequel of Practical Magic. The Rules of Magic takes us inside the lives of Frances and Jet Owens before their nieces, Sally and Gillian, came along. In New York City on the cusp of the sixties, Susanna Owens knows that her three children are dangerously unique. Franny, the eldest, with blood red hair, dreams of flight. Shy and beautiful Jet can read people’s thoughts. The youngest and first wizard in the family, Vincent, has sought trouble since the day he was born. As the three siblings learn the rules of magic, they begin a risky journey to escape a curse that will bring ruin to whomever they fall in love with. Thrilling and spellbinding, this is a story of love and forgiveness, despite the heartache and loss that fate brings. This is a story that reminds us that the only remedy for being human is to be true to yourself. 1. We learn that the rules of magic are to harm no one, remember that what you give will be returned to you threefold, and fall in love whenever you can. Do Franny, Jet, and Vincent live by these rules? What happens when they break them? What set of rules would you live by? 2. Make note of the part titles. What do the titles add to the narrative? Why do you think the author chose the titles she did? 3. 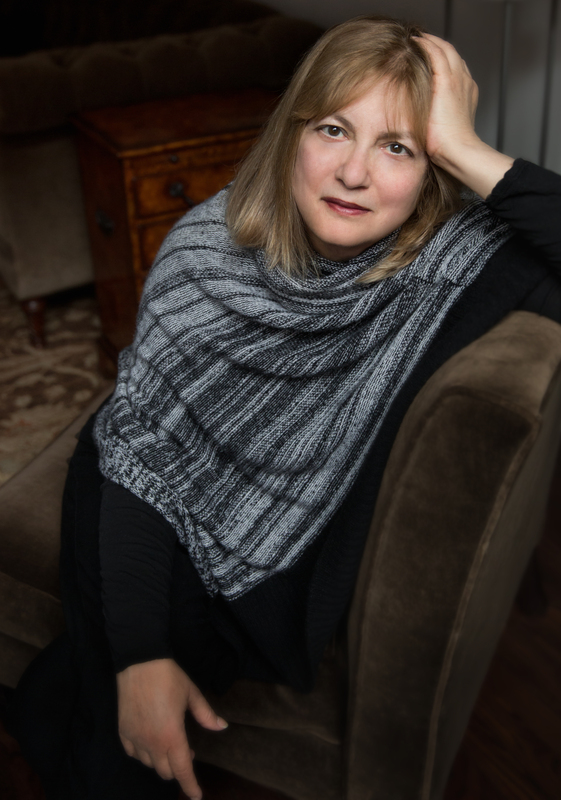 Alice Hoffman’s novels are often woven with qualities that earn them a place in the genre of magical realism. Discuss how she achieves this writing style. What details do you notice she includes? What sources of inspiration does she draw from? 4. When the Owens siblings visit Aunt Isabelle for the first time, she tells them a story about a cousin named Maggie, who was turned into a rabbit. She warns Franny, Jet, and Vincent that this “is what happens when you repudiate who you are” (page 30). Each is certain that the harrowing tale was meant to caution her or him specifically. How do they interpret it differently? Why do you think Isabelle shared this story? 5. If you are familiar with Practical Magic, you already know that the Owenses’ ancestor, Maria, cast a curse that brought an end to any man who fell in love with a member of the family. In The Rules of Magic, we uncover the secret that they are “all descendants of a witch-finder and a witch” (page 138). What is revealed about Maria’s love affair? Does it help us understand the reasoning behind the curse? 6. Frances in particular seems to wrestle the most with the curse, even with her Maid of Thorns reputation. Why is this so? Why do you think she can’t embrace love the way her siblings do? 7. Forgiveness quickly becomes a large theme of the novel. After their parents die, Jet develops a deep self-hatred. The distrust between Franny and Haylin only grows after the incident at Turtle Pond, and Vincent’s own heavy secrets burden him. Discuss how the characters work through their conflicts, and whether or not they are able to resolve the issues. 8. There is something magical about Vincent’s music. Audiences are spellbound by his performances, even early on in Isabelle’s garden. His song, “I Walk at Night,” seems to tell the past and the future, like a prophecy. Discuss which lines you liked best. Did you notice any that foreshadowed events? What references do the lyrics make? When he says, “I walked at night, I longed to fight” (page 217), what do you think he means? 9. One summer night while walking his dog, Harry, Vincent stumbles upon the Stonewall riots, often recognized as the origin of the gay rights movement in the United States. What do you know about this historical event? Do you think the revolt changed him? How do the riots contrast with Vincent and William’s trip to California during the Summer of Love? 10. Jet also wanders through a historical event inspired by the Human Be-In, held in Central Park on Easter Sunday of 1967. She accidentally ingests LSD and almost drowns herself in one of the park’s ponds. What brought Jet to this moment? Would you consider it her rock bottom? When she meets Rafael, he begins to pull Jet out of her despair. How does their love help her recover, and how does it differ from her relationship with Levi? 11. When Vincent and William visit April in California, she remarks, “Fate is what you make of it. . . . You can make the best of it or you can let it make the best of you” (page 220). In a novel that often seems ruled by fate, how do the characters determine their own destinies? How is the advice applicable to April’s own life? 12. Vincent’s fate is altered when he is drafted to Vietnam in one of the country’s most unpopular and controversial wars. Do you think his sisters did the right thing by smuggling him out of the country? What would you have done if you or a loved one were drafted at the time? 13. When Haylin, the love of Franny’s life, dies from cancer, she asks her sister, “How will I ever love anyone again?” Of course, Sally and Gillian Owens, recently orphaned through a tragedy of their own, become the answer to that question. Still, this is an issue that resurfaces throughout the book. In a family where love is destined to bring loss, how do the characters continue to find the courage to love more, not less? 1. New York City and the 1960s influence the novel’s culture and history. Explore some of the events and people mentioned in the novel, such as popular musicians, fashion styles, historical figures, and events. Use the information to design a themed walking tour in the city. 2. Jet gives Levi a copy of The Scarlet Letter by Nathaniel Hawthorne, a book his father has forbidden. Pick the novel for your next book club and discuss why you think the Reverend would want to keep it from his son. How are its themes similar to The Rules of Magic? How are Hester Prynne and Maria Owens alike? 3. The Owenses’ Grimoire is described as an overstuffed tome bound in a covering that resembled frog skin, cool to the touch. Full of powerful magic and charms, it would burn anyone who was not its rightful owner. Create your own Book of Shadows. What kinds of spells and amulets would be included in it? Would it be dark magic, like The Magus? Would it have rules to abide by? What inspired you to return to the Owens family? Why did you decide to write a prequel rather than a sequel? I had always loved the Owens family and I felt there was so much more to write about them. But rather than go forward in time, I was more interested in the family's past. Who were the aunts we meet in Practical Magic when they were young? And how did the family's past affect the next generation? These were the question I started with, and Jet and Frances filled in the rest. In the original novel, Practical Magic, the Owens sisters were opposites of each other, even described as different as night and day. Many readers saw themselves as either Sally or Gillian; do you think this will happen again with these new characters? Who reminds you of yourself? Like Sally and Gillian, Frances and Jet appear to be very different. One is daring and is the first to drink Courage Tea; the other is more retiring, sweeter and kinder. But when it comes down to it, in times of trouble, they are very much the same, putting those they love first. I always think that every character I write is nothing like me, yet contains a spark that is similar. Often, I write about people I wish I could be more like, and when it comes to the Owens family I certainly admire their strength when it comes to facing fate, and being brave enough to try to change it. The Owens lineage has always been composed of female witches. How did the character Vincent come to you? Additionally, what motivated you to write a gay character? I didn’t know Vincent was gay until he knew—which is to say, he was repressing that self-knowledge so well even I didn't see it at first. For me, a character arrives fully formed—they are who they are—and this happened with Vincent. It was certainly interesting that he kept a secret, even from me, until he was ready to be who he was in a time when that was not terribly easy to do. Readers love the magical tone you weave into your novels. Your writing certainly does bring the reader into a world of storytelling and enchantment where it seems that anything is possible. How did you develop this style? Do you have any advice for aspiring writers who are trying to find their own voices? A writer's voice is like a fingerprint. No one else can have your voice—it is unique. But one way to get there is to read other writers whose work you love; their influence can help you find your own voice. And of course the more you write, the more you understand your own voice. For me, enchantment and reading always went together, from the stories my Russian grandmother told me to the fairy tales I read. My own writing was influenced by these stories, and it seemed natural for magic to be a part of my fiction. Vincent’s song, “I Walk at Night,” enthralls the crowd at the Monterey Pop Festival in 1967. It’s a beautiful song that provides a few key insights into the themes and fates of your characters. Had you written song lyrics or poetry before? Were you influenced by any particular musicians or poets? I’d written a poem for The Red Garden, which seemed like the heart of the book, and I’ve always been influenced by Bob Dylan and Leonard Cohen, great songwriters and great poets. Listening to them was very helpful, and Leonard Cohen allowed me to use a quote of his in my last book, Faithful, which meant a great deal to me. My friend, the poet Sue Standing, was my first “poetry reader,” and that was helpful as well. Speaking of the Monterey Pop Festival, The Rules of Magic takes place during the 1960s and ’70s. How did you choose the setting and what was your research process? Further, with such a chaotic and turbulent time period, how did you decide which historical events to include? I think of the ’60s and ’70s as my time period. It was when I began listening to Dylan and going to Greenwich Village and I lived for a while in Northern California. It was such a chaotic time, with so much violence. Our country was divided and it was nearly impossible to talk to someone “on the other side.” At the same time, people were fighting for their rights, and they came together in an amazing way. So much happened that I couldn't refer to most of the historical events—if I had, there would have been no room left over to write about the Owens family. I wrote about what personally affected my characters, and focused on the personal and political aspects of the time that affected Vincent. Vincent’s dog, Harry, often acts as his accomplice. Lewis guards Franny’s heart. Wren lifts Jet out from her depression. Animals often play a supportive, intuitive role in your books. Have you had many pets? Any you would consider your familiar? I love the idea that witches have familiars, animals they are so close to that they understand each other completely. Yes, my great German shepherd, Houdini, was my familiar. I miss him every day. Maria Owens’s curse is a burden that characters from both Practical Magic and The Rules of Magic attempt to overcome. The two strategies that arise are to beware of love or to love more. What about the dichotomy interests you? What makes it such an intriguing and relatable struggle? I think this is a curse that is likely a burden for everyone, not just the Owens family. Love is a burden, it’s dangerous, it can break your heart, but in the end there is little point to a life without it. It may ruin you, you may lose everyone, but that is the price we pay to be human. It is an ongoing struggle, and I think as you grow up, as the Owens family does, you see the risks in a different way. You have courage. There are many pieces of advice given and lessons learned in this novel. Which one do you hope continues to resonate with readers long after they’ve placed The Rules of Magic back on the shelf? I think the most important lesson for Jet and Franny and Vincent is how important it is to be true to oneself, to accept oneself—including the flaws—and appreciate one’s own uniqueness. You are not like anyone else. And that’s a good thing. And of course, despite pain and heartbreak, the most important lesson is always to love more. Any news on what we can expect from you next? I’m researching a historical novel set in France, and of course I am always interested in the Owens family.